The following homes and condos are just some examples of properties we have sold. We can help you find homes and condos to fit your needs if you are buying your dream home. If you are selling, please contact us as we have state of the art marketing and sales efforts that generate Buyers every day. Please call us at 1-800-414-SALE (7253). Thank you and have a nice day. Robert Young, Broker. What a private pool and golf view from this spectacular Golf/Lagoon/Pool view. Vaulted ceilings, Huge Fireplace and lots of glass accent the Formal Living Room. Columns create the visual feeling of height in the Living Room. The kitchen has Granite countertops and opens into the Family Room with views out to the Golf Course and Pool. Large Master suite has seperate his and her vanities and closets. The home also has a media room. This one to include in your list to show!! Video available upon request. Spectacular!! A very private Estate in Long Cove. This property is located on a Peninsula where no one can build to the right. The Residence is located on a once in a lifetime lot. 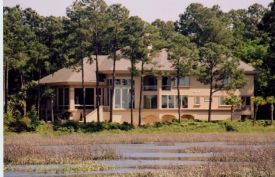 There is Deepwater views in front and Lagoon/Golf Views to the right. 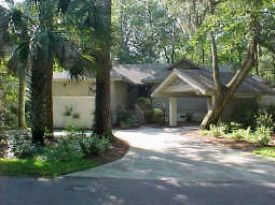 The home is immaculate in every way, High Ceilings, Kitchen fully appointed, Open Family Room, Library/Office, Master Bath to die for, Master overlooks Deepwater and a pool so private you will think you live on Hilton Head all by yourself!! Very Rare Opportunity! Video available on request. Builders Designer House!! Decorator furnished! !Will Consider Trades, prefer lots!! Extras not seen in other homes this price! !Fabulous View of Lagoon and Golf Course!! 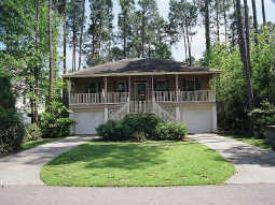 Four Car Garage, Vaulted Ceiling, Honduran Heart Pine Hardwood Floors, Open Kitchen, Stainless Steel Appliances, Tray Ceilings, Large Closets, Finished Garage, Private Long Cove Plantation!! Great Price for size and Quality of home!! Must see this one!! Video available on request. One of the landmark locations in Wexford. The home, when finished will be over 12,000 square feet with Media Room, Formal Living Room, English style Library, Office, Family Room, Huge Kitchen, Guest House, Six bedrooms, Workout Room, Large Pool with hot tub and more. The land is two Harbour front lots where you may park your seventy foot yacht in your back yard. This spectacular home offers everything you could ever want. When complete this home will be valued at over $5 Million. Robert Young was the selling agent on this property. I can bring buyers to your table. Contact me for other homes of this quality. I can help you sell your home and bring you more money and help you close quicker. I offer you a Free Marketing analysis on your property. Contact me at your convenience. 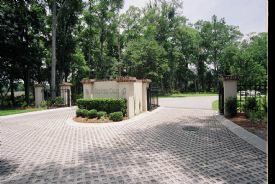 A very private Estate in Long Cove. This property is located on a Peninsula where no one can build to the right. The Residence is located on a once in a lifetime lot. 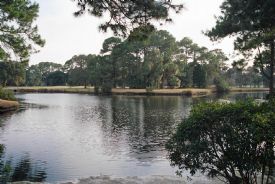 There is Deepwater views in front and Lagoon/Golf Views to the right. 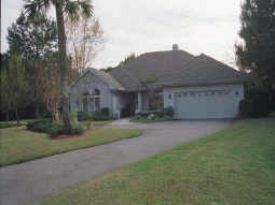 The home is immaculate in every way, High Ceilings, Kitchen fully appointed, Open Family Room, Library/Office, Master Bath to die for, Master overlooks Deepwater and a pool so private you will think you live on Hilton Head all by yourself!! Very Rare Opportunity! Robert Young was the selling agent on this home. I can bring quality buyers to your table also. Let me help you achieve your goal of selling your home also. High Tech Home!! All the toys, Security lights, Survelence cameras, Smart house technology, 84' Projection Screen with Surround Sound, Whole house stereo, Mood lighting with one light switch, Pool and Golf View, All on one floor, Great Master Suite, with the open kitchen overlooking the Family Room. This is one unique quality home. It is in perfect shape. Make sure to see this one!! I can help you sell your home and move on to your next life. My goal is your goal. I can help you. Contact me for a Free Marketing Analysis on your home. MUST SEE TO BELIEVE!! HUGE HOUSE WITH OPEN LIVING ROOM, VAULTED CEILINGS, FAMILY ROOM, AND DINING AREA WITH FIREPLACE. GREAT POOL AREA. MUST SEE TO BELIEVE!! 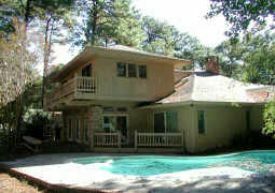 HUGE HOUSE WITH OPEN LIVING ROOM, VAULTED CEILINGS, FAMILY ROOM, DINING AREA WITH FIREPLACE AND GREAT POOL AREA. WHEN I GOT THE LISTING THE HOME WAS A MESS. SHE WAS OUT OF TOWN AND I GOT THE LANDSCAPER, CLEANING CREW AND MORE OUT TO GET THE PROPERTY READY TO CLOSE. I CAN HELP YOU TOO. I GO THE EXTRA STEP TO TAKE CARE OF MY OWNERS. THE OWNER AND I EVEN WENT SHOPPING FOR APPLIANCES TO PUT ALL NEW APPLIANCES IN THE PROPERTY WHEN SHE CAME TO VISIT. ALL THIS MADE A HUGE DIFFERENCE. NEARLY NEW MARSH FRONT HOME WITH AMAZING VIEWS, GRANITE COUNTERTOPS, HARDWOOD & STONE FLOORS, LOTS OF UPGRADES, PLANTATION SHUTTERS THROUGHOUT. Great Floorplan, all on one level. You feel like your in the water at high tide!! GREAT VIEWS!! Robert Young was the selling agent on this home. I bring buyers to the table. I can do the same for you!! Ceiling fans throughout - pergo floors, large master suite. Big front porch & concrete back porch. Centricon system. 4 Car garage & storage. Must see! Robert Young sold this for the owner after they had tried for months to sell themselves. I can help you too. They moved on to a bigger and better home!! Remodeled kitchen and new appliances in 1998. Home offers sunken bathtub, cathedral and tres ceilings, skylights in master and kitchen. Private Hot Tube to enjoy. A must see! These owners were friends of mine that could have picked any Realtor to help them. They were very happy that I did such a great job. They moved to Florida and are very happy. I can help you move to here or help you sell your home. Call me for a Free Market Analysis on your home!! Buy for lot value! Fix up and rent or tear down and build new. Huge 4th row oversize lot. Go See. (Not Sure on year built, but close)This was a tear down, I got them a great price at the time for the lot. How can I help you? Contact me for Free Market analysis. Let me help you reach your dreams. Rare Fifth Floor Penthouse Oceanfront VIP Condo!! Location and totally redone!! Marble Floors, Granite Countertops, New Carpet, New Paint, New Appliances, New Furniture!! Must See This One!! Buy this one while you can. 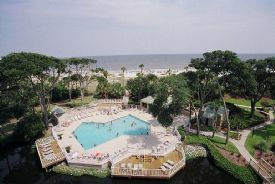 LARGEST PENTHOUSE ON HILTON HEAD!! LAST PENTHOUSE AT GRANDVIEW!! Every ROOM has a VIEW of the WATER!!! OVER 7500 total sq. ft. Almost 5,000 square feet heated and almost 3,000 sq ft veranda!! 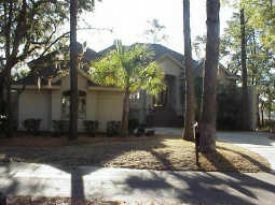 Huge Living Room, Media or Family Room, Formal Dining area, Covered Deck w/wet bar! 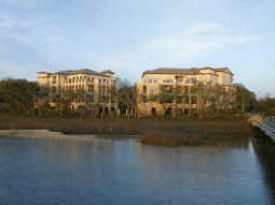 Intracoastal access, walk to Country Club of Hilton Head & restaurants.Enjoy endless waterviews. Like yachting? Golfing? Fine Dining? You'll love Grandview. Fabulous 4BDR,4.5BA unit w/ wood flooring, custom kitchen w/granite. Marble bath suite & priceless views! Video of property is available on request. 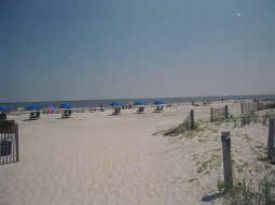 Oceanfront + South Forest Beach = PERFECT VACATION RENTAL PROPERTY OR SECOND HOME!!! Great pool & jacuzzi! Annual gross rentals $34,000-36,000. Walk off your deck to the beach!!! 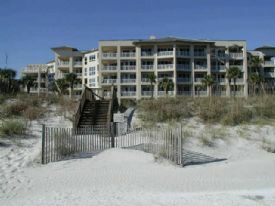 Beachview & beach access!!! 1st floor!!! I updated the condo for the owner and we sold it in less than thirty days. I help my owners get more money and sell them quicker because of my suggestions. Let me assist you in achieving your goal in selling your property. I will market your property very diligently. 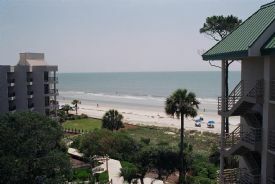 The most luxurious 3BR/3.5BA direct oceanfront condo on Hilton Head. Located in prestigious Leamington, features include an oversized balcony, finishes including travertine flooring, granite counters, custom cabinets and crown moldings. 2688 heated SF. Walk in and see nothing but the Atlantic ocean from every room. This one will wow you! Wonderful Ocean views from every room. Robert Young was the selling agent on this property, which means I brought the buyer to the table. I bring buyers to the table. I can help you and bring buyers to your table. Penthouse three bedroom, three bath, owner used a lot, in great condition. In the middle of the building with a great view. Very rare Penthouse. 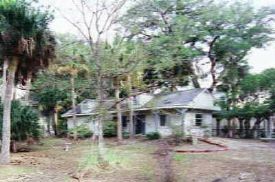 Robert Young was the selling and listing agent on this property. I help my owners sell their property. I can help you too!! I offer a Free Marketing analysis on your property. PENTHOUSE WITH OUTSTANDING OCEAN VIEWS. THIS IS A MUST BUY! We remodeled the condo and they love the view. I was the selling agent on this property. I helped these owners find a great condo at a great price. These owners came in to our office on Friday at 4:30 as a walkin. We get quality walk-ins because of our office location. I can bring buyers to you too. Gorgeous Top Floor Penthouse!! This one has it all, end unit, top floor, great views and screened porch with outside deck. Very large condo with all the extras. 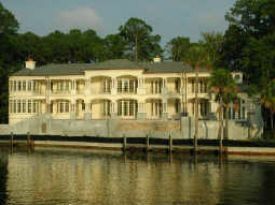 Remodeled kitchen, remodeled master bath, three bedrooms, HUGE Master suite and everything overlooks the water!! Enjoy sunsets, boating, fishing, golfing what a location!! Call and see this one today!! Robert Young was the listing and selling agent on this condo. I can bring buyers to your property also. Let me help you today. Wow!! What a great lagoon and Golf View from this end unit!! Rare Lawton Woods villa in excellent condition and wonderful view. Walk to the beach!! Could be a great rental or second home. 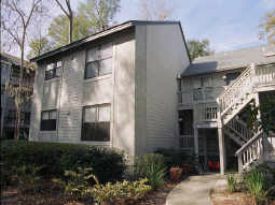 All on one floor with three bedrooms and three baths. Carolina room has lots of windows to enjoy the lagoon and golf view. Open kitchen overlooks Carolina room and the view. Get this one while you can. This owner had tried to sell for months on his own and we sold it in less than thirty days. Very happy owner and they moved on. I sell all over the Island. Rare One Bedroom with a gorgeous Oceanview. You can see the ocean and the pool. Beautifully decorated!! Quality furnishings!! 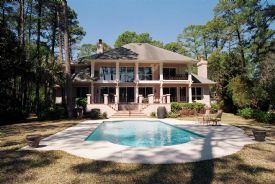 Hot tub, Large Master suite, vaulted ceiling, Open Kitchen overlooks the living room and Dining area. Two full baths for you and your guests. Great rental with Sand Dollar. Get this one before they go up!! This owner tried to sell on his own for a long time and we sold it in just weeks. I can help you sell your property. Contact me for a Free Market Analysis on yours today!! Great two bedroom end unit. The floor plan is very good on this one. Bedroom and living room flow nicely. Open kitchen and living room. Newer appliances and carpet. In very good condition. Must see this one. 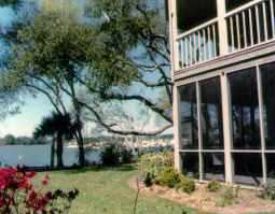 Screened in porch and walking distance to the beach. These wonderful owners wanted to move into a bigger property. I sold there condo and helped them get to close and buy their new home. I made it a very easy transition. How can I help you? Contact me for a Free Market Analysis. I can help you sell your property for more money and quicker. This spectacular Waterfront Penthouse has four bedrooms, four baths and one half bath. Formal Dining room, Living Room, Granite Kitchen with Deepwater views, Hardwood floors, high ceilings and Marble baths. The outdoor living space is almost 2000 square feet with covered fireplace, wet bar and great views. Robert Young was listing and selling agent on this property. I can help you find your dream property also. Whether buying or selling, please let me know your dreams. Disclaimer: Information deemed reliable but not gauranteed. Buyer must verify. Beautiful Deepwater views over Broad Creek. You can fish and crab off your community dock. Great pool and private community with security dock. 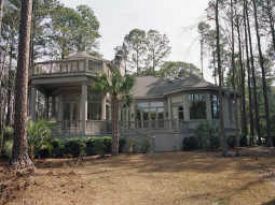 Not too many great water view lots left on Hilton Head. Seller will work with a spec builder if you are interested. 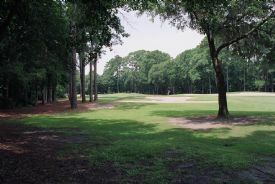 One of the best deepwater view lots on Hilton Head for the price. 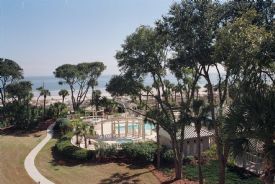 The pictures are of the view, the common dock and the pool. Buy this one quick before they are all gone!! 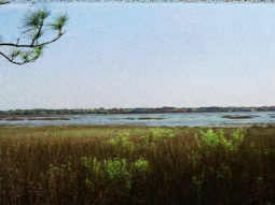 Largest Marsh Front Lot in Oakview. Rare opportunity to buy with this view and this location!! Inside the security gate area at Sterling Point. Near the planned pool location. Nice location near cross island bridge. Best price for this view. Lot size is 175X48X23X38X71X135X90. Other lot with this view is over $50,000 more!! Must see this one!! Go now before someone else gets a great lot!! Great Golf Patio Lot!! On Dolphin Head Course. Green space beside makes this a VERY Private lot to build on. 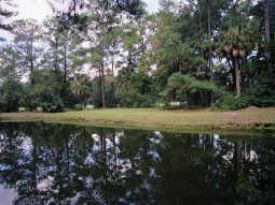 Rare Golf View Patio lot in HH Plantation. Lowest price golf lot. Get this one quick! !